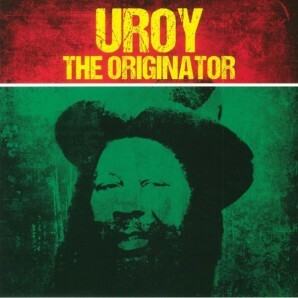 Radiation Roots present a reissue of U Roy's The Originator, originally released in 1990. Ewart Beckford, aka Daddy U Roy, changed the focus of Jamaican popular music by turning the sound system deejay from an incidental figure that told jokes in between records and made announcements about where the next dance would be held, to a major star whose rhyming toasts were as important as the lyrics for any singer. U Roy's command on the microphone on sets like Dickies Dynamic and Sir George the Atomic paved the way for his influential residency on King Tubby's Hi Fi. Keith Hudson, Lee "Scratch" Perry, and Bunny "Striker" Lee were some of the first producers to bring him into the studio, but the breakthrough hits came for Duke Reid in 1970, with Roy toasting over old rock steady rhythms. Work for Prince Tony subsequently brought him international fame through a contract with Virgin, but he continued to record grassroots efforts at home. The Originator gathers some of the greatest tracks U Roy cut for Striker, voiced as usual at King Tubby's studio over hot hits by Johnny Clarke, Cornell Campbell, Gregory Isaacs, and others; "King Tubby's Skank" celebrates Tubby himself.